Just when skeptics began writing obituaries of the Arab spring, the remarkable events unfolding in Libya over the last three days have renewed hope in the Arab struggle to rid the region of authoritarianism. The Libyan rebel forces have captured Tripoli and have finally stormed Bab al-'Aziziya compound (Gaddafi's fortified residence). There was no trace of Gaddafi and his family in the compound amidst wild speculations about his whearabouts. Unlike the relatively easy toppling of Zine al-'Abidine Ben 'Ali in Tunisia and Mubarak in Egypt, the Libyan affair dragged on for over six months. The liberation of Tripoli required intense fightng on the ground and some 75 NATO air sorties. Most importantly, the fighting have claimed more than 13ooo lives. Few feel vinidcated in their support of NATO's involvement in Libya, but that should be shortlived and all efforts must focus on post-Gaddafi reconstruction. The Libyan fight for liberation showcases the varied nature of the Arab spring as change can either result from peaceful protests or sometimes through violent means. The Liberation of Libya also proved that NATO's involvement has been key in depleting the power of pro-Gaddafi forces. The air and ground fighting simply proved too much for Gaddafi loyalists. NATO's mandate to protect the advances of the rebels into Tripoli quickly turned into an action for regime change, following the launch, Saturday, August 20, of Operation "Siren of the Sea." NATO's involvement signals a new era in successful international intervention based on humanitarian legitimacy, where the cost of non-intervention is higher than measured and calibrated military involvement. As Libyans regain control over their destiny and their oil resources for the first time in 42 years, the harder part of state building lies ahead. Libya presents greater challenges than any other Arab country. There is virtually no apparatus of the state, no constitution and no coherent political institutions that could serve as a platform for transition towards potential democratic governance. Libya also features significant tribal cleavages that have to be taken into consideration as the new Libyan state is built. For four decades, Gaddafi played tribes against each other, and there is still significant tribal rivalries in Libya. 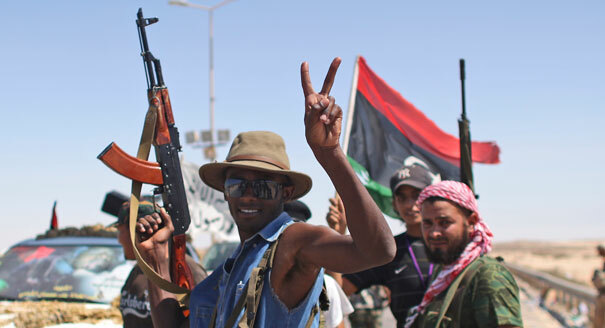 Everyone is jubilant in Libya today, but the future could prove even tougher than the military fighting.